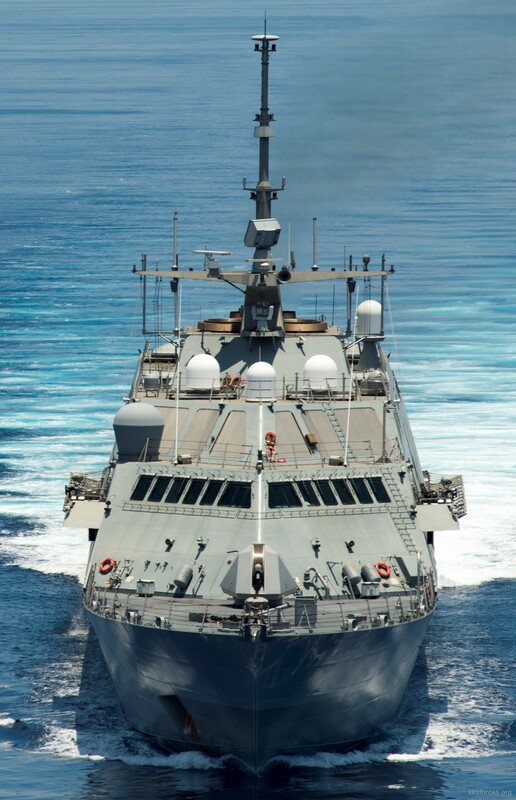 In November 2013, Fort Worth conducted successful live-fire tests of its 57 and 30 mm cannons (2.2-and-1.2-inch) against small boat targets conducting swarm attacks. 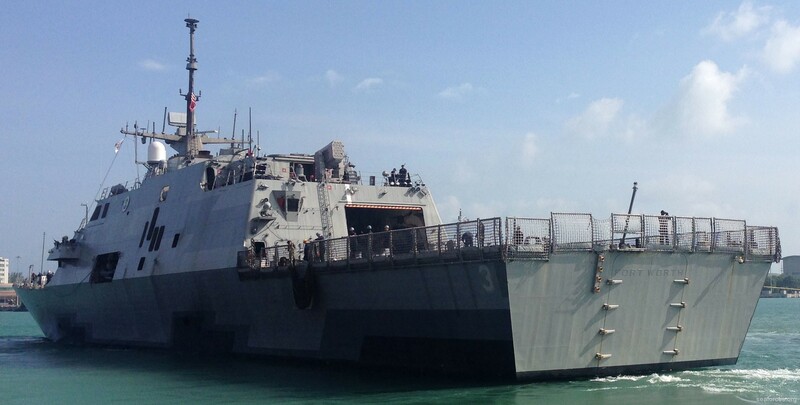 Fort Worth was moving fast through the water and assisted by an MH-60R helicopter. 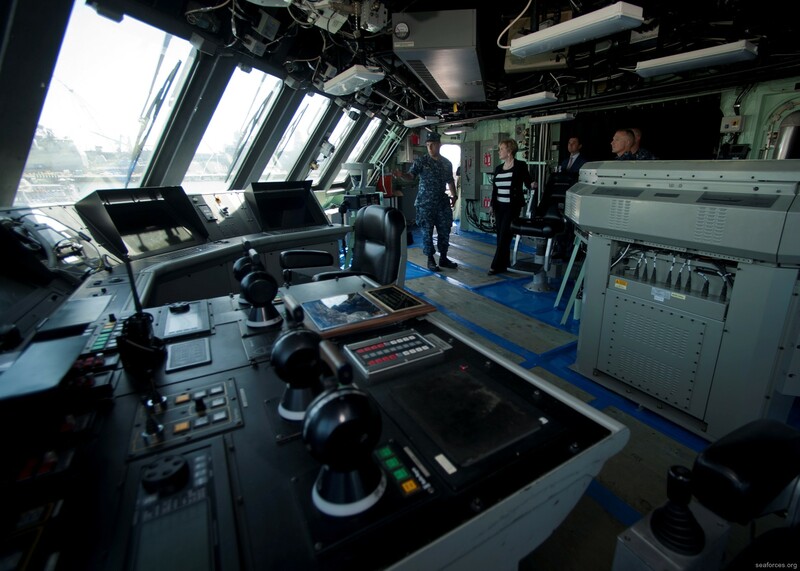 The ship's fire control system locked on to and fired on the small maneuvering boats in day and night situations with optical sights. 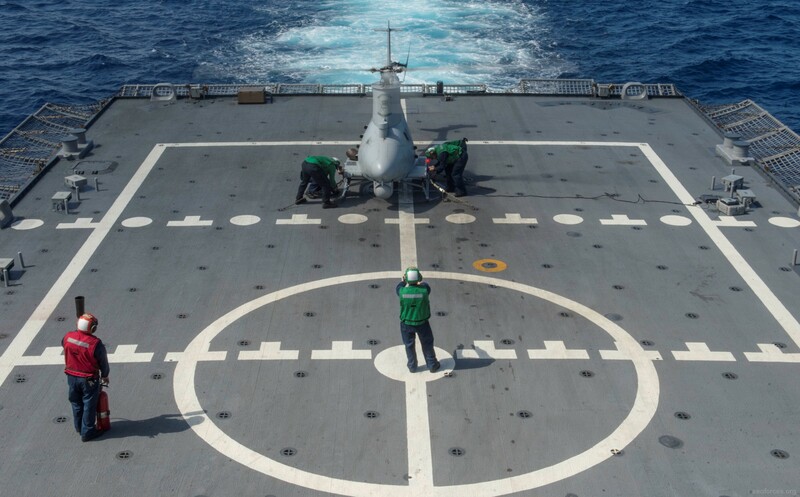 The helicopter provided radar targeting which was passed on to the ship's fire control system. 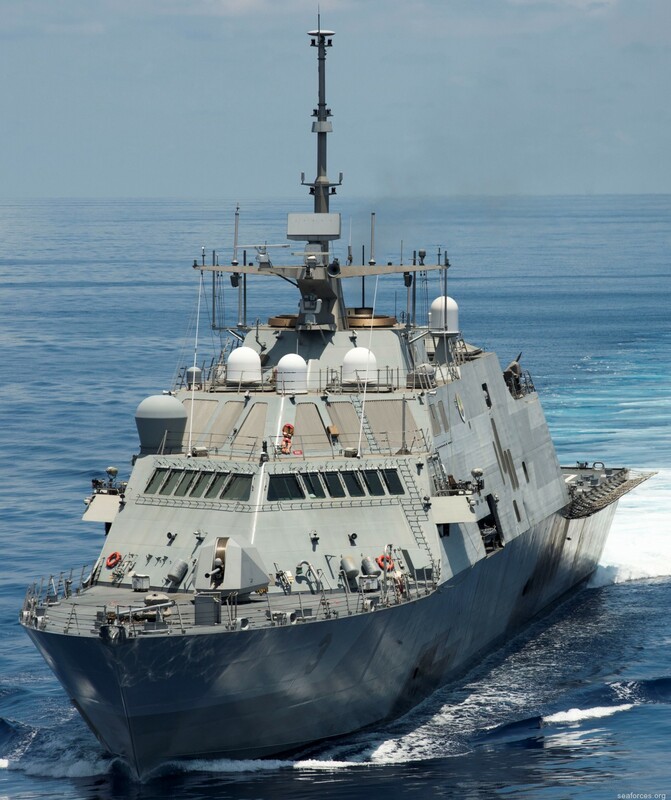 Fort Worth conducted additional evaluations of its surface warfare technologies in early 2014 in scenarios involving small boat swarms, engagements with its 57 mm gun, and search and seizure exercises. 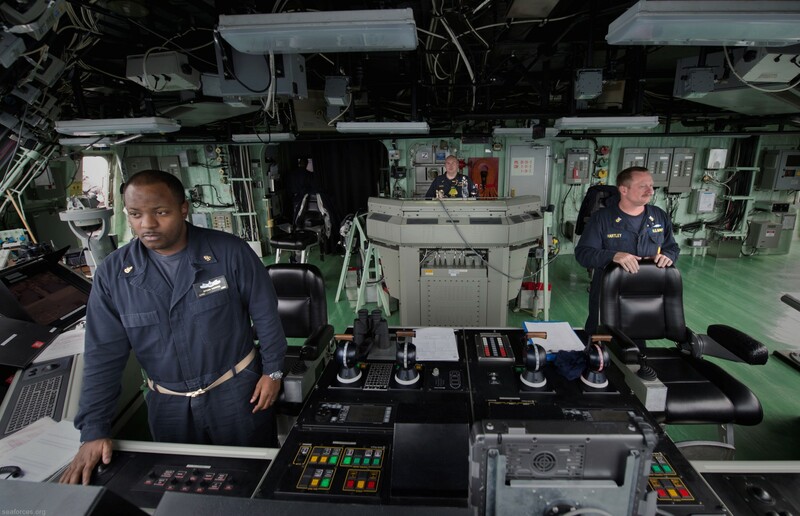 Evaluations were successful and validated the surface warfare mission package on the ship. 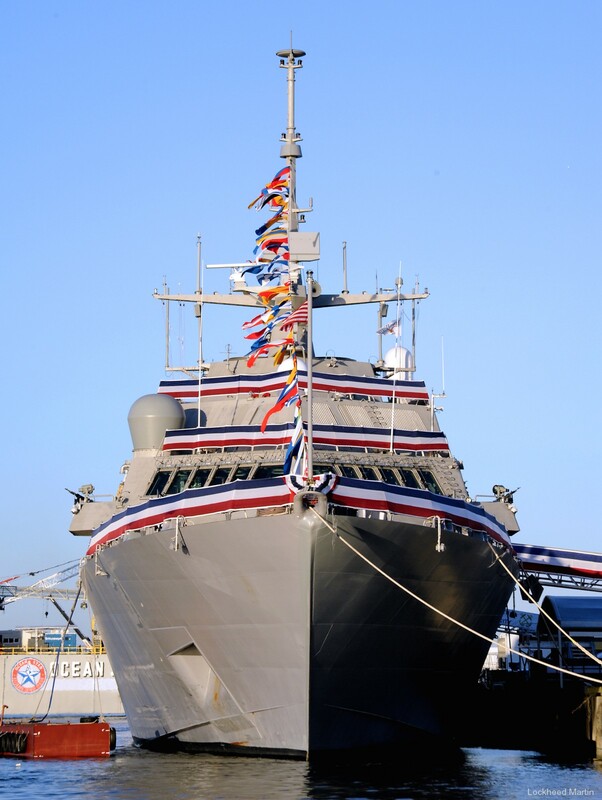 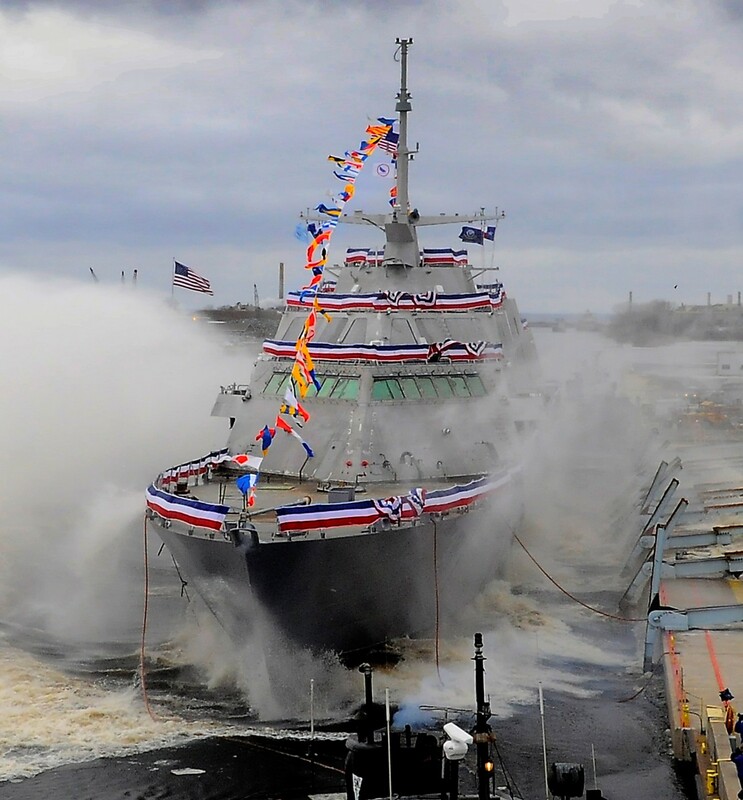 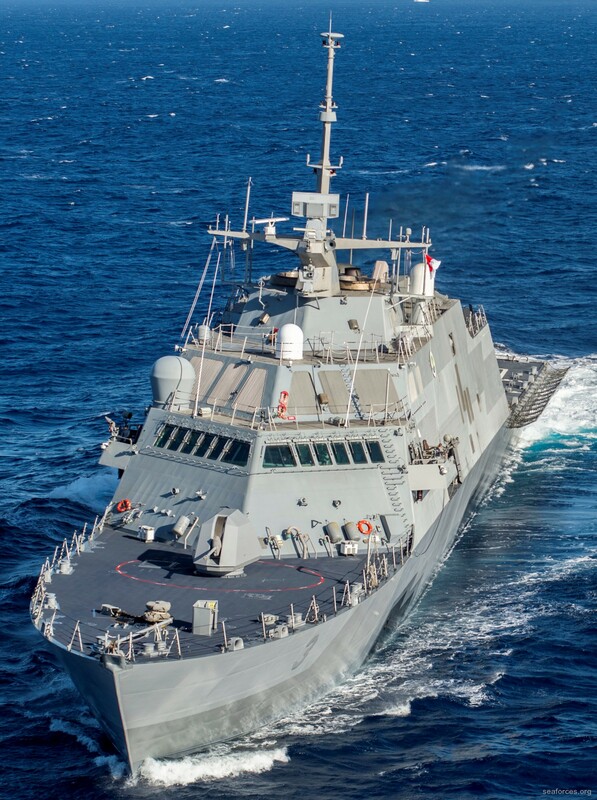 In November 2013, Fort Worth became the first LCS to test operations with the Northrop Grumman MQ-8 Fire Scout a critical capacity for the LCS program. 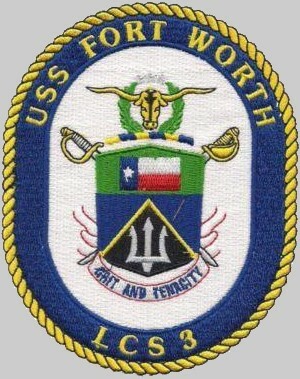 On 10 September 2014, the commander of the U.S. 7th Fleet announced that Fort Worth would deploy to the Asia-Pacific region in January 2015. 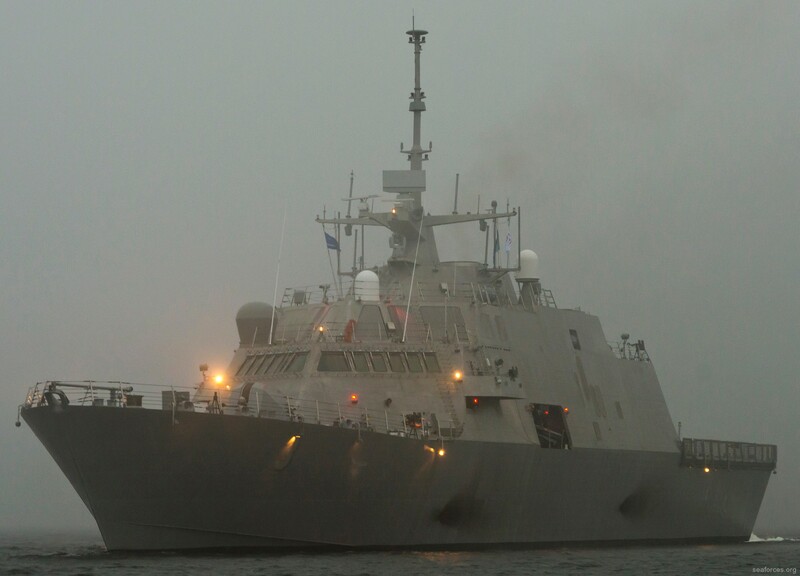 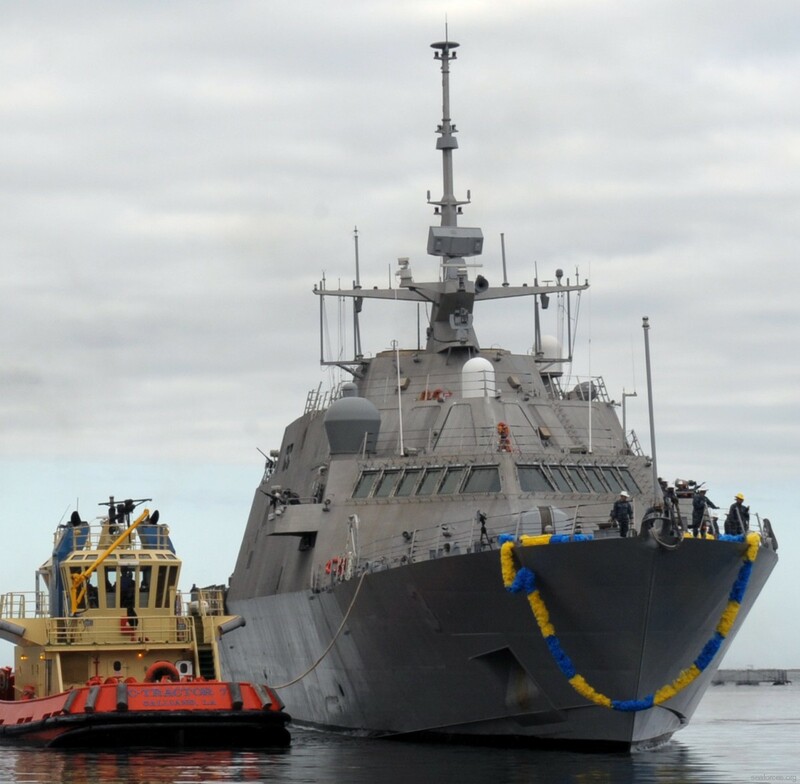 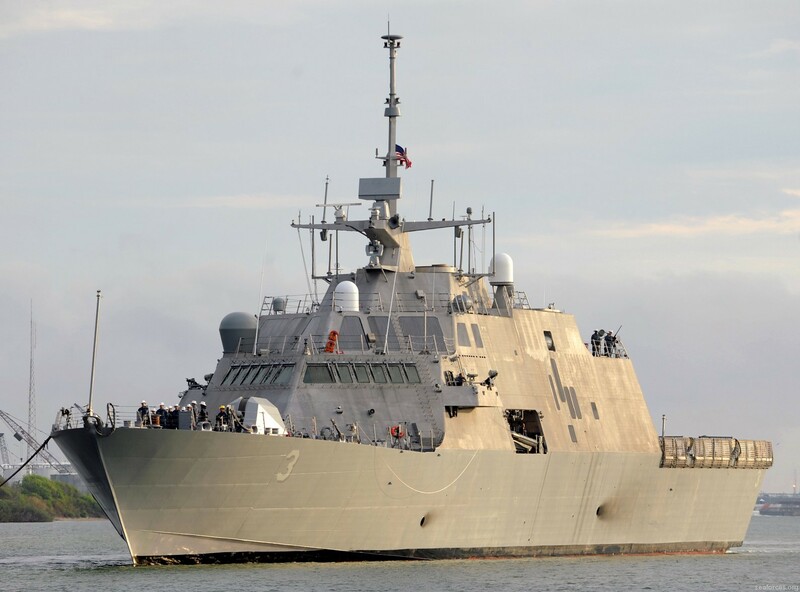 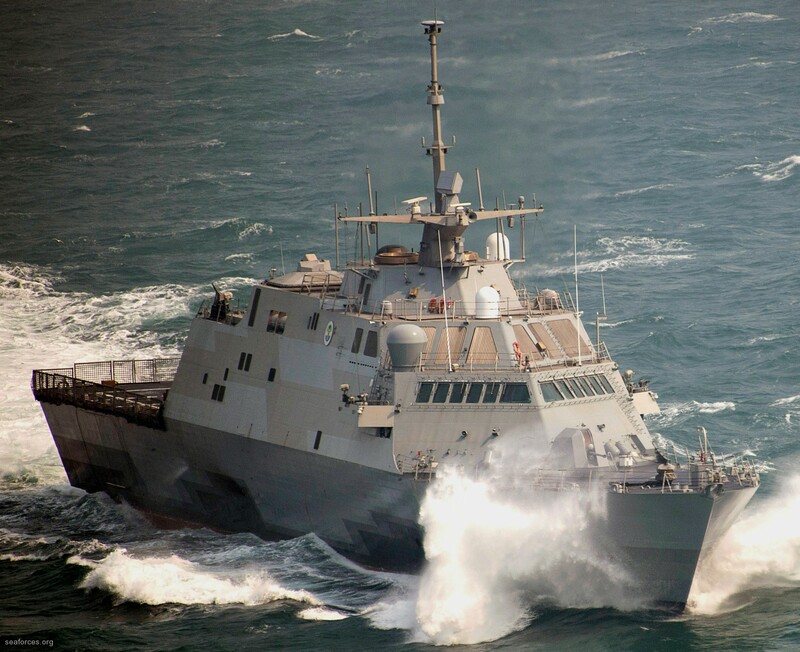 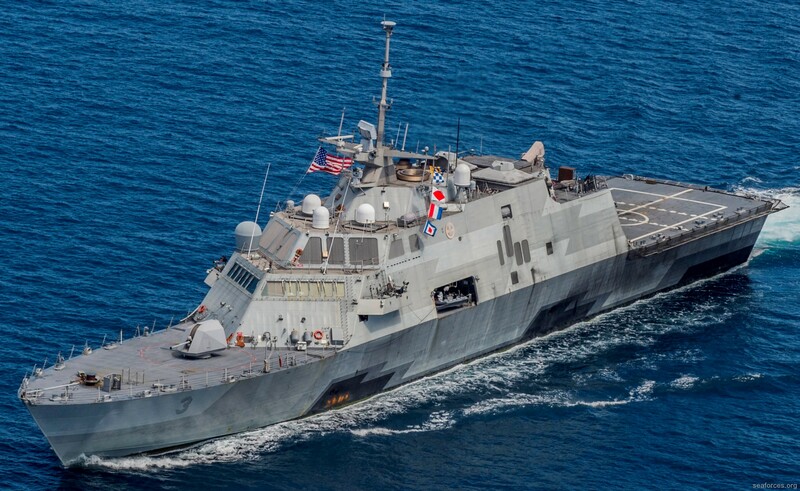 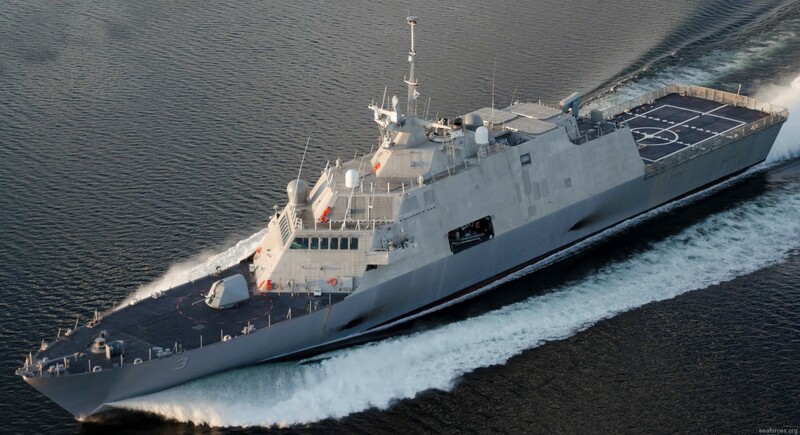 The ship will be used to expand operational envelopes that were not done by the previous deployment of USS Freedom to the region, particularly concerning the mine counter measures (MCM) package. 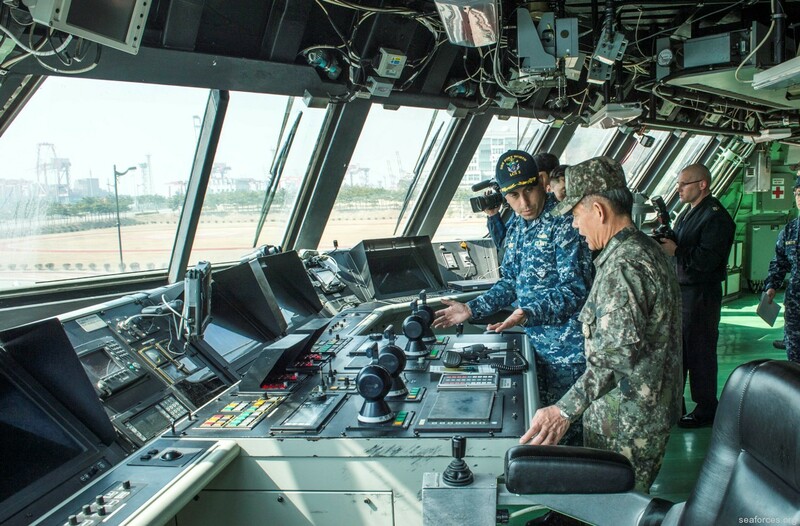 Emphasis on MCM is based on periodic provocations made by North Korea, which has deployed sea mines around the peninsula that have sunk South Korean vessels in the past, so the Navy wants to test the MCM mission in and around the Korean peninsula. 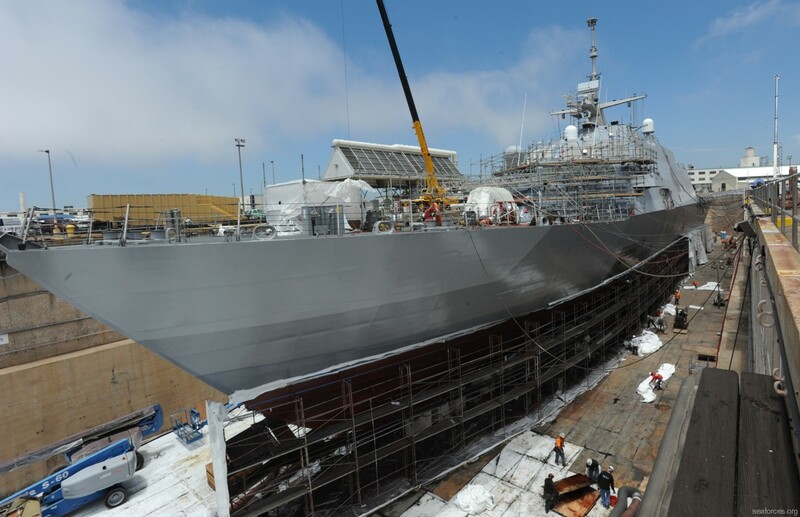 Another area of focus is to use the ship to provide "non-traditional" maritime lift for U.S. Marines due to constraints in the number of big deck amphibious vessels available to the 7th Fleet. 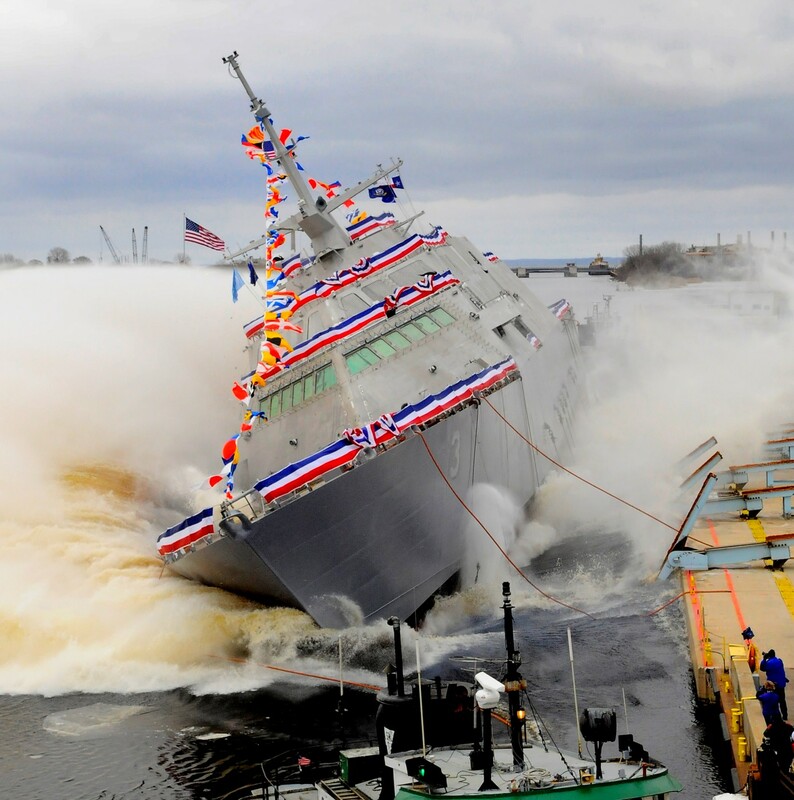 Operational trials made by Freedom also showed the potential to improve vertical lift replenishment in shallow waters. 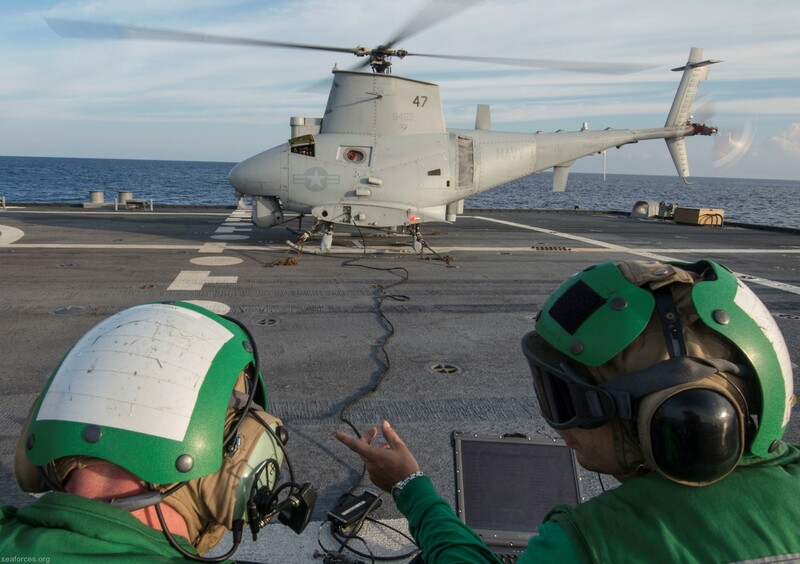 She deployed with the surface warfare mission-equipment package and was the first LCS deployment with the MQ-8B. 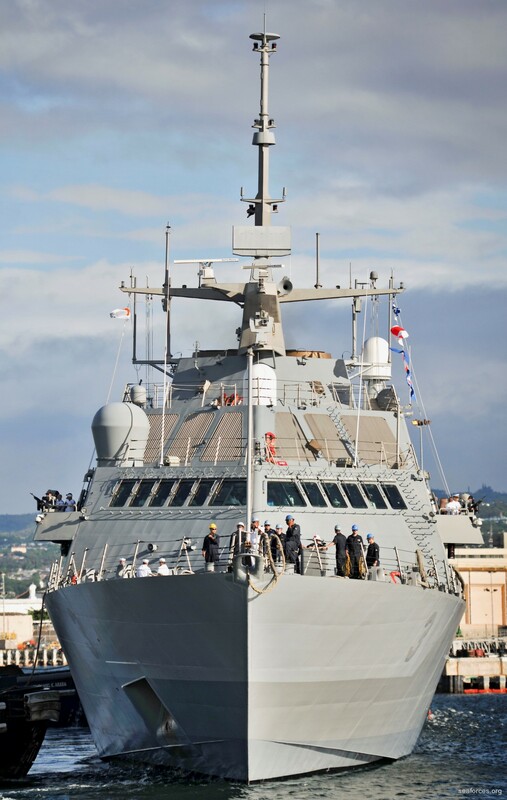 Fort Worth departed her homeport of San Diego on 17 November 2014 for a 16-month rotational deployment to Singapore in support of the U.S. Navy's strategic rebalance to the Pacific. 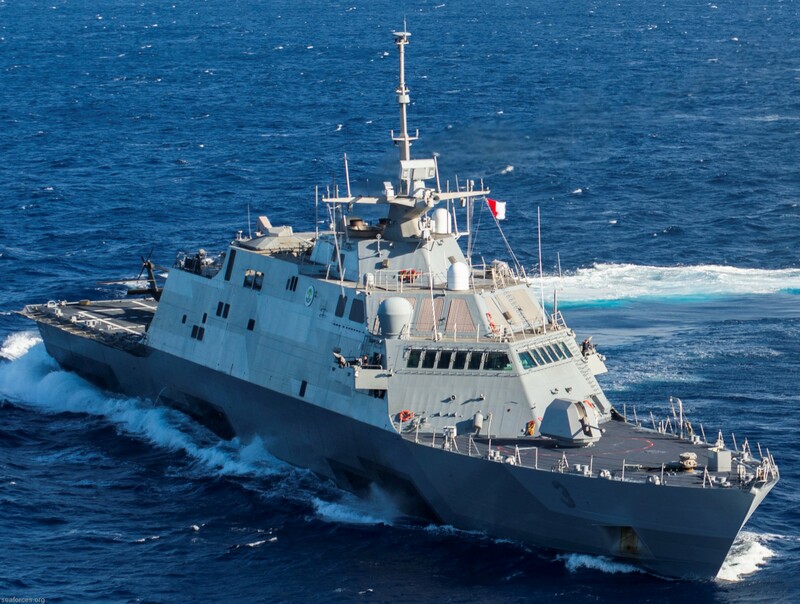 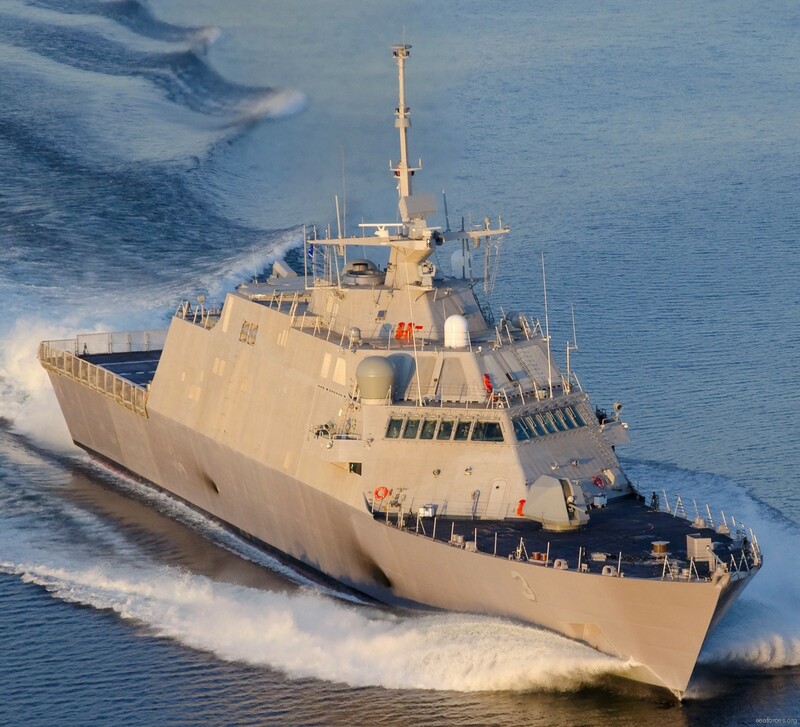 The ship is the first LCS to deploy under the "3-2-1" manning concept, swapping fully trained crews roughly every four months. 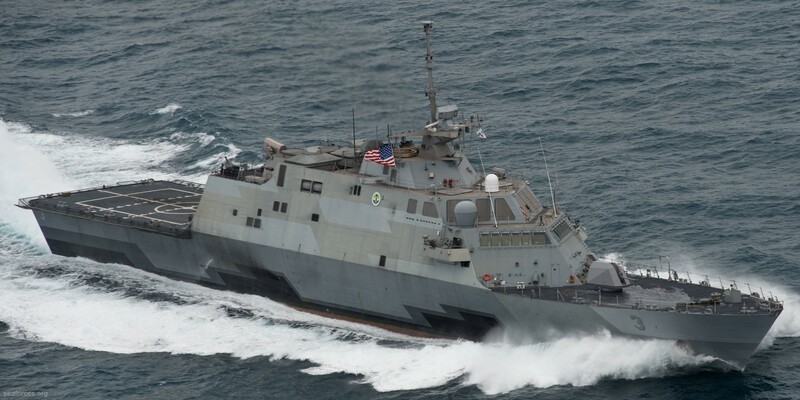 Under this concept three rotational crews will support two LCS ships and maintain one deployed ship. 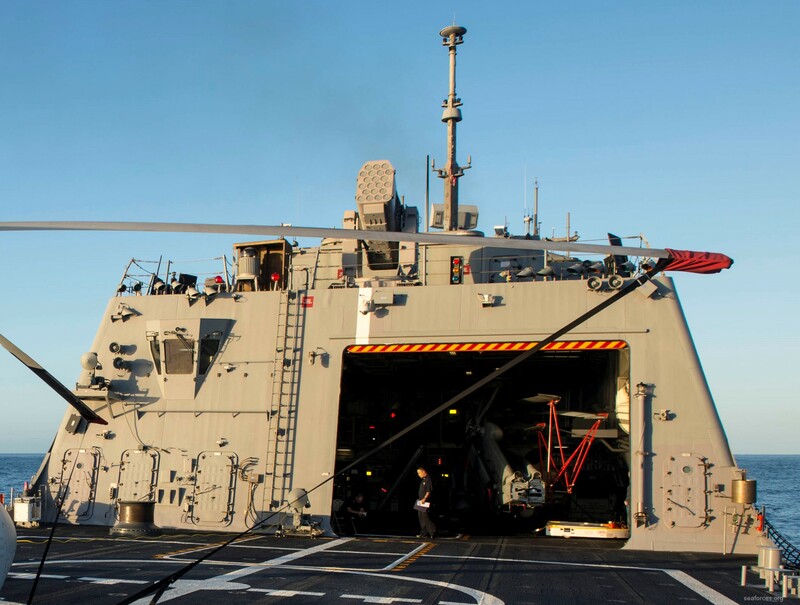 Fort Worth also deploys with an aviation detachment from Helicopter Maritime Strike Squadron 35 (HSM-35) "Magicians", the U.S. Navy's first composite expeditionary helicopter squadron. 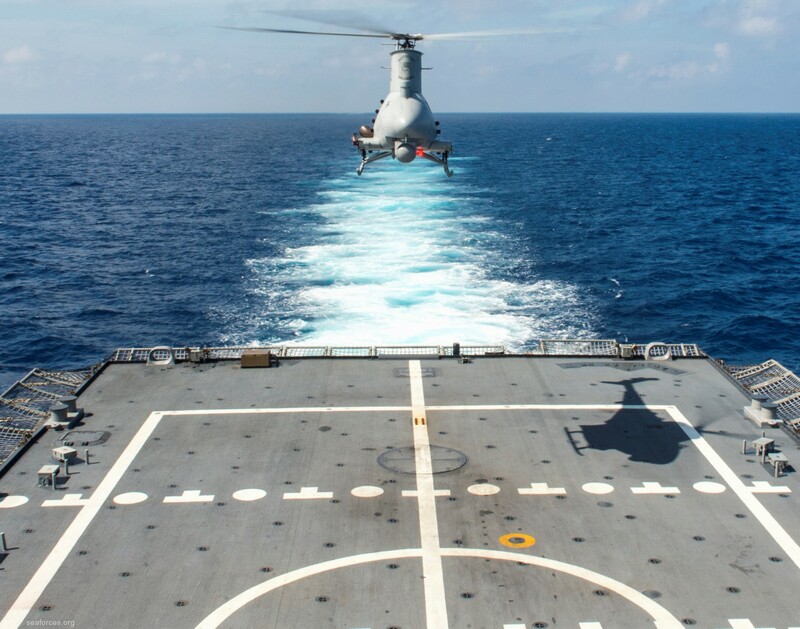 The aviation detachment will consist of one MH-60R Seahawk helicopter and one Northrop Grumman MQ-8 Fire Scout unmanned autonomous helicopter. 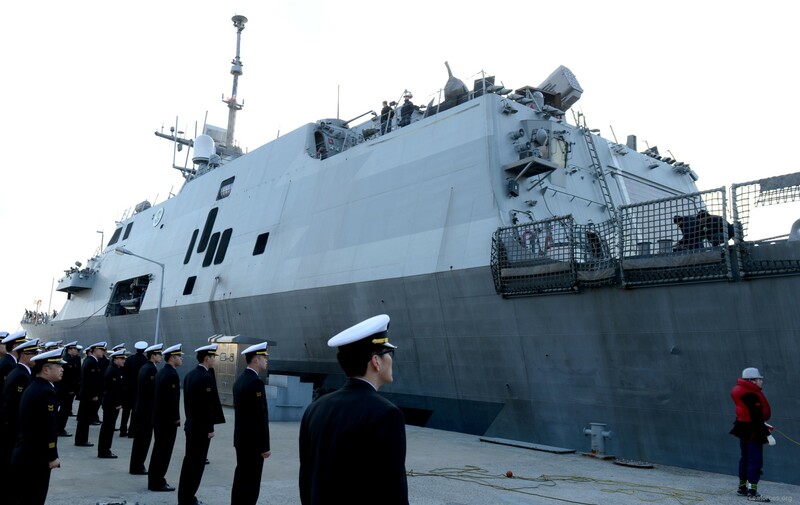 Fort Worth reached the 7th Fleet area of responsibility on 4 December 2014. 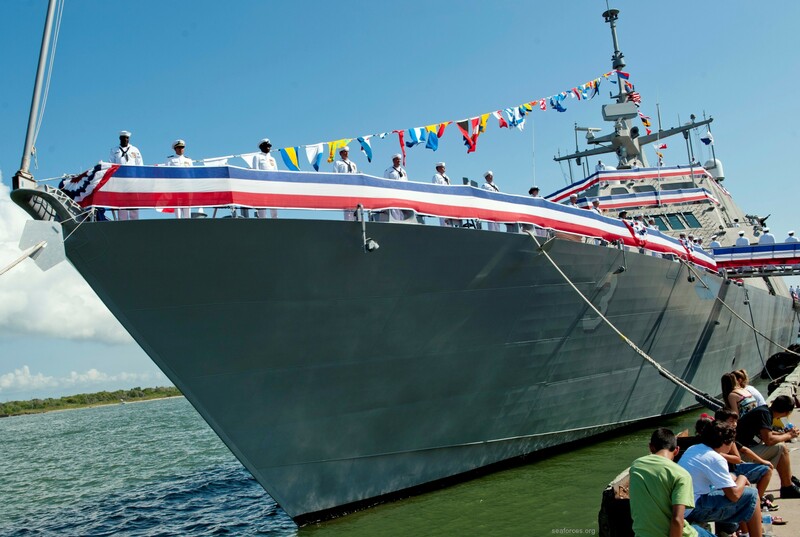 The ship is expected to remain in the area until March 2016. 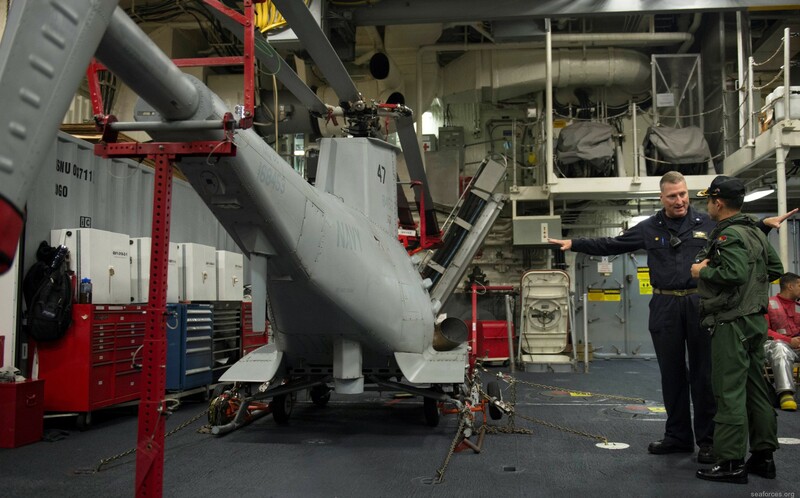 It will be the longest deployment of a U.S. warship in 42 years, since the aircraft carrier USS Midway was under way for 327 days in 1973. 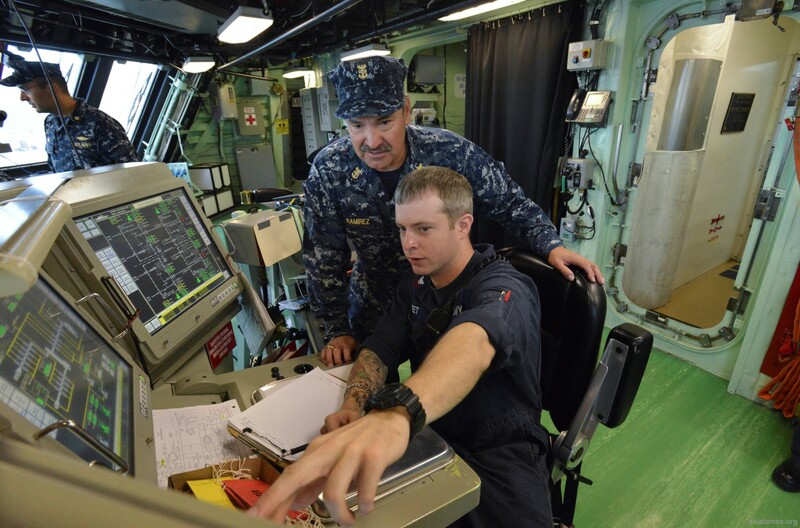 The long deployment is to stress the Navy’s logistics capabilities and identify potential problems. 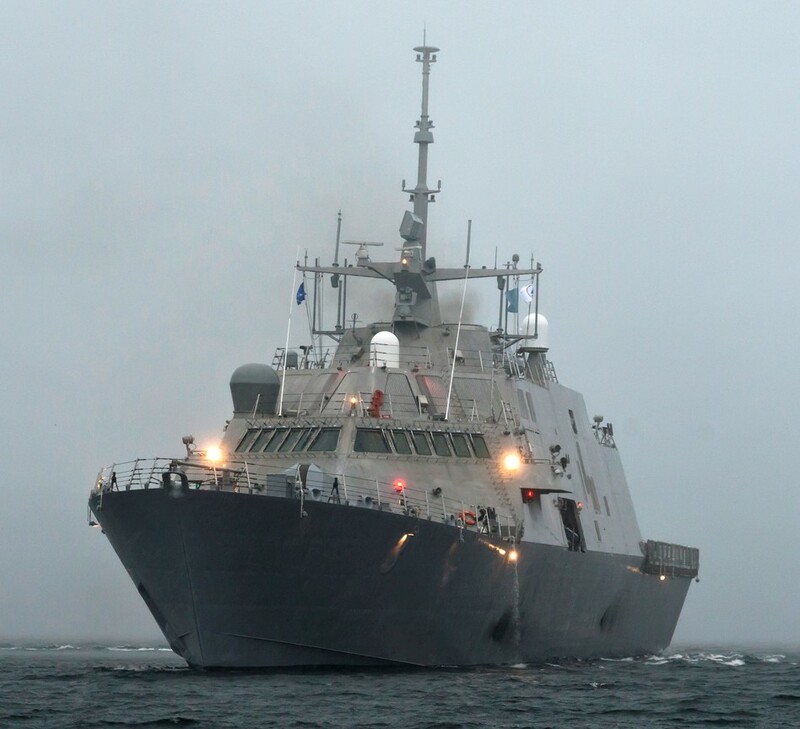 Once the deployment is completed, Freedom will take the ship's place, returning to the area again. 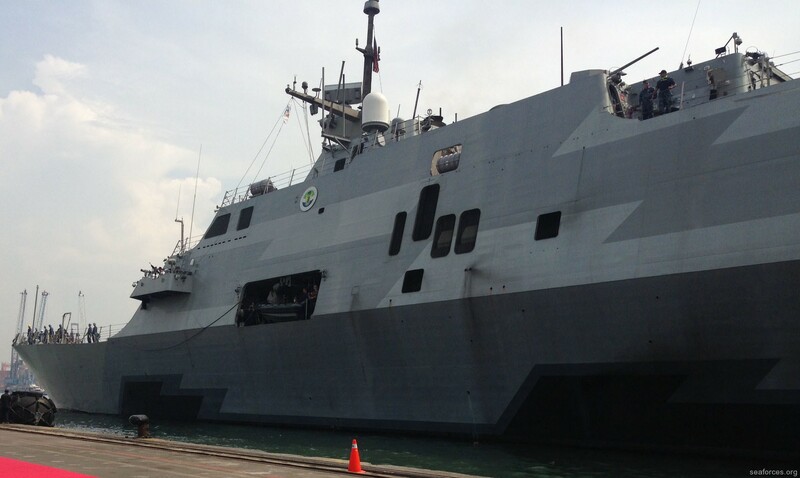 On 31 December 2014, Fort Worth was dispatched from Singapore to the Java Sea to take part in the search for Indonesia AirAsia Flight 8501 that crashed on 28 December. 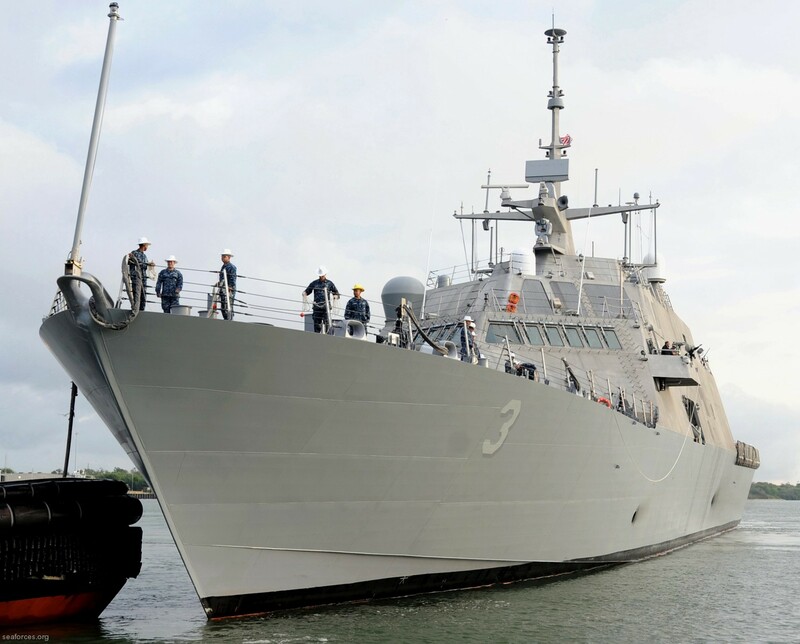 On 3 January 2015 she arrived in the area to commence search efforts alongside the destroyer USS Sampson at the request of the Indonesian government. 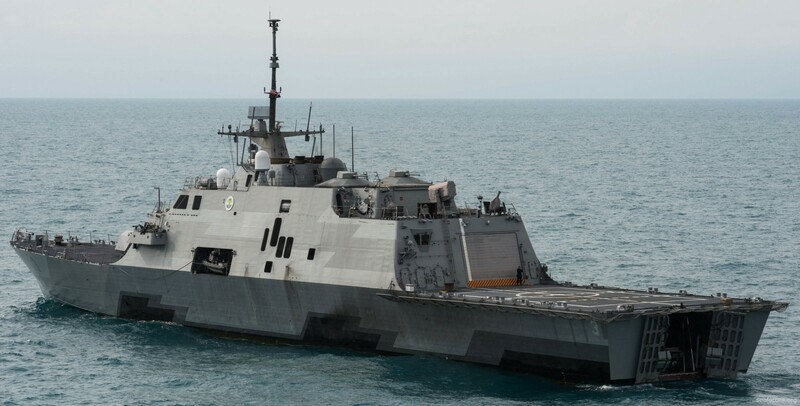 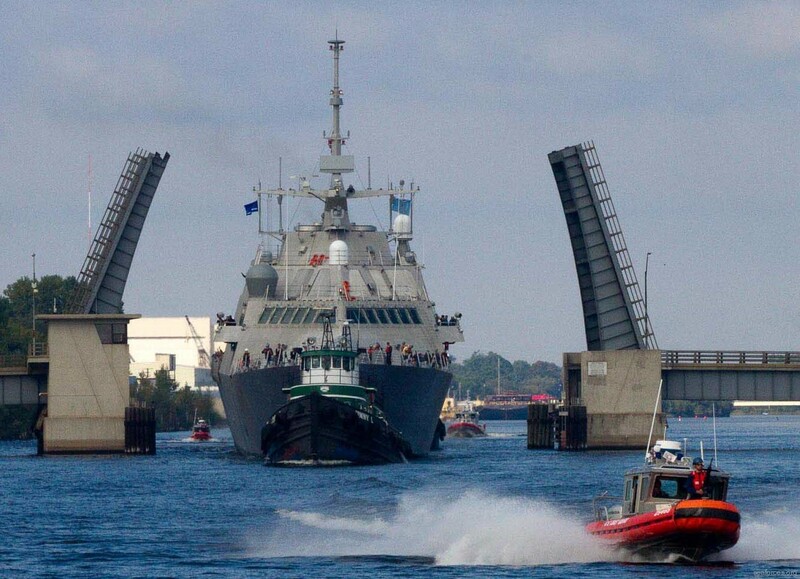 The maneuverability and shallow draft of the design allowed her to conduct expeditious visual and radar searches in the congested, shallow water environment. 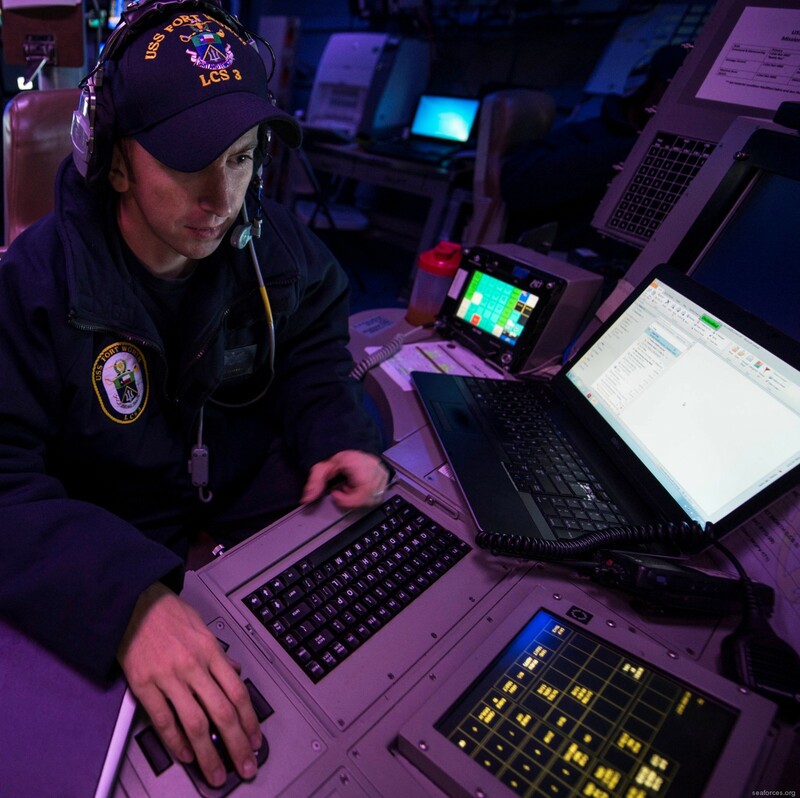 Both ships concluded search efforts on 15 January 2015 after performing 650 combined search hours. 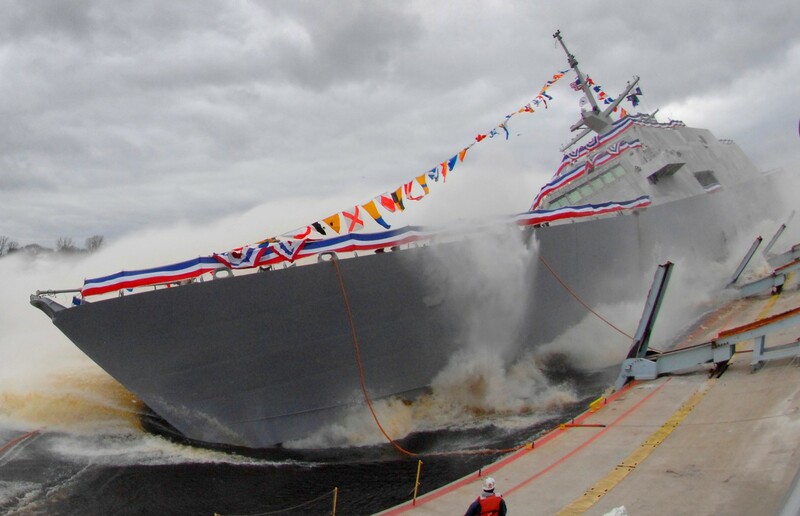 Fort Worth provided unique capabilities over the larger Sampson, and employed her two 11-metre (36 ft) RHIBs in 107 hours of operations. 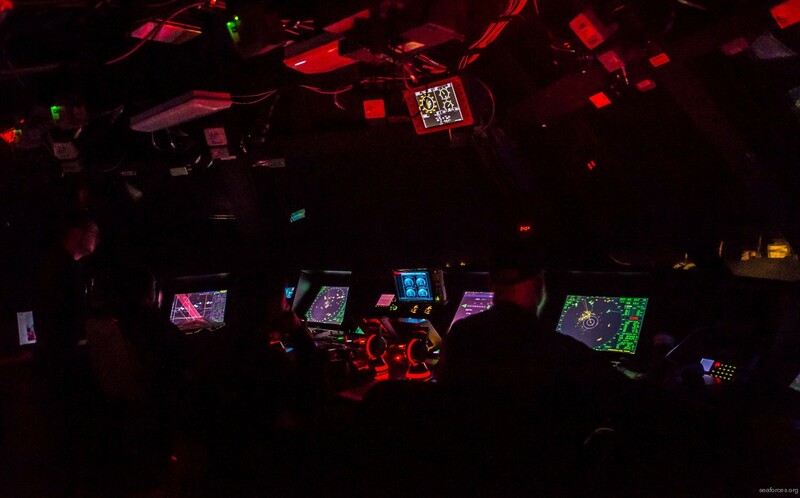 A team from Mobile Diving and Salvage Unit One was embarked on the ship, operating three Tow Fish side scan sonar systems to search for wreckage during 78 hours over 12 sq nmi (16 sq mi; 41 km2), the AN/PQS-2A passive sonar to listen for black box pings during 17 hours over 24 sq nmi (32 sq mi; 82 km2), and a remotely operated vehicle to investigate objects. 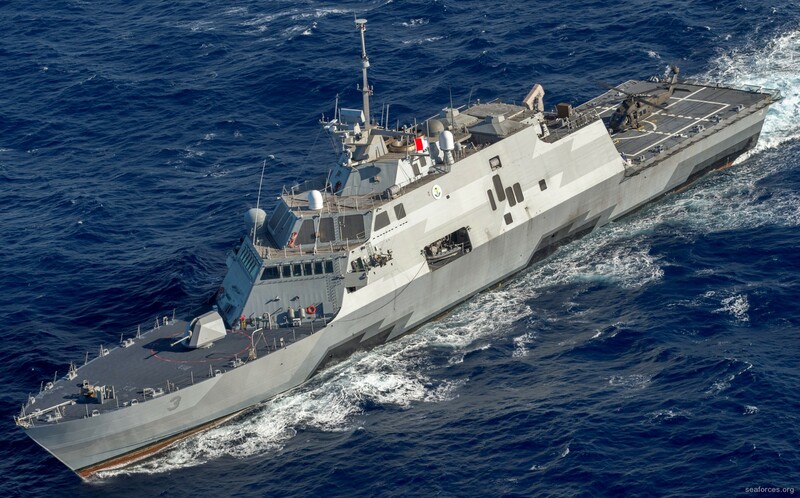 On 13 May 2015 the Chinese foreign ministry sent a complaint to the United States after Fort Worth made Freedom of navigation passage near Spratly Islands claimed by China. 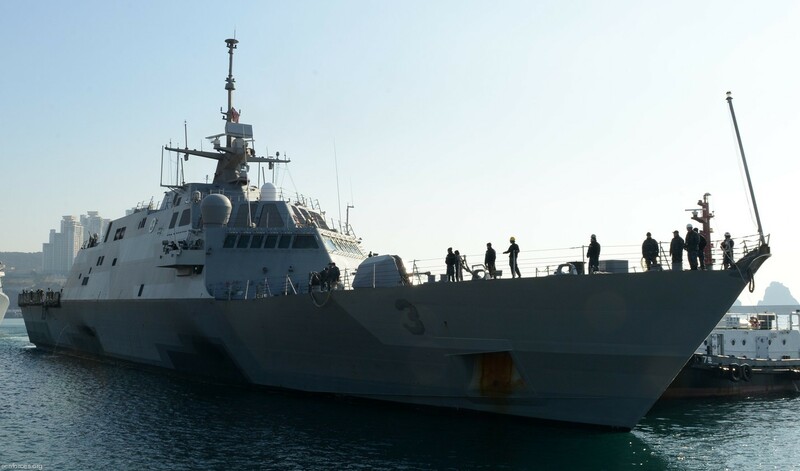 During her deployment to the South China Sea, Fort Worth encountered several warships of the People's Liberation Army Navy, putting the new rules of the Code for Unplanned Encounters at Sea into practice in a "professional" manner. 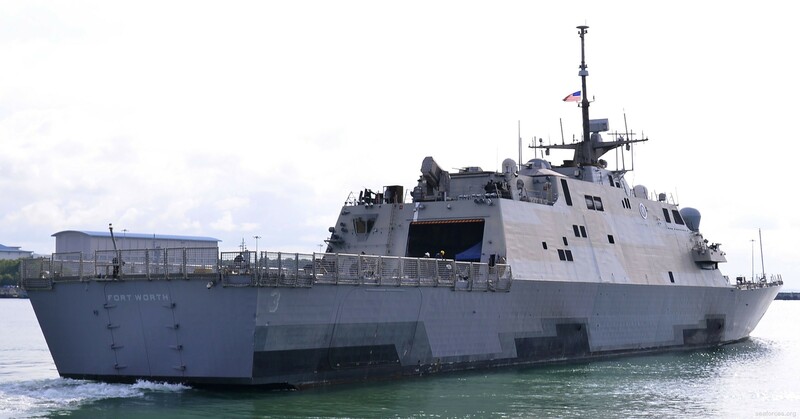 On 12 January 2016, according to a memo from the service, it was reported that Fort Worth was sidelined in port at Singapore indefinitely because of damage to gears that propel the vessel, which resulted from a failure to use enough lubricating oil. 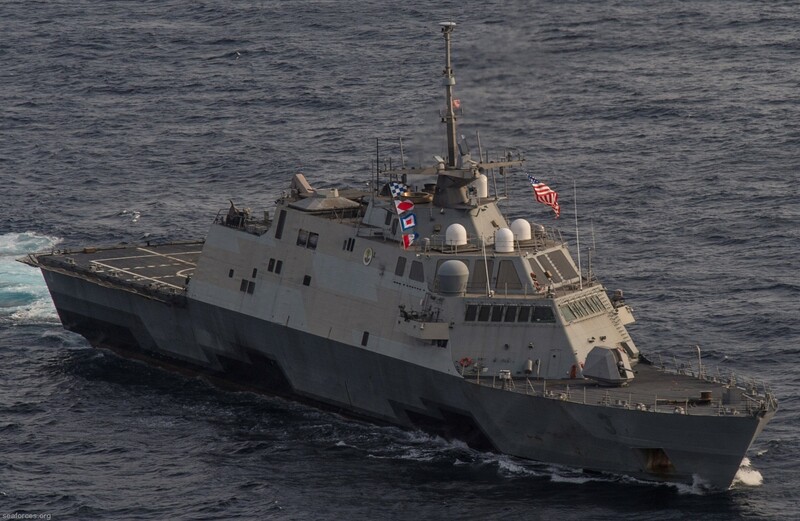 As a result, on 28 March 2016, CDR Michael Atwell, the commander of LCS crew 101 (the LCS is manned by a rotating crew), was relieved of duty and was temporarily replaced by CDR Lex Walker, deputy commodore of Destroyer Squadron 7. 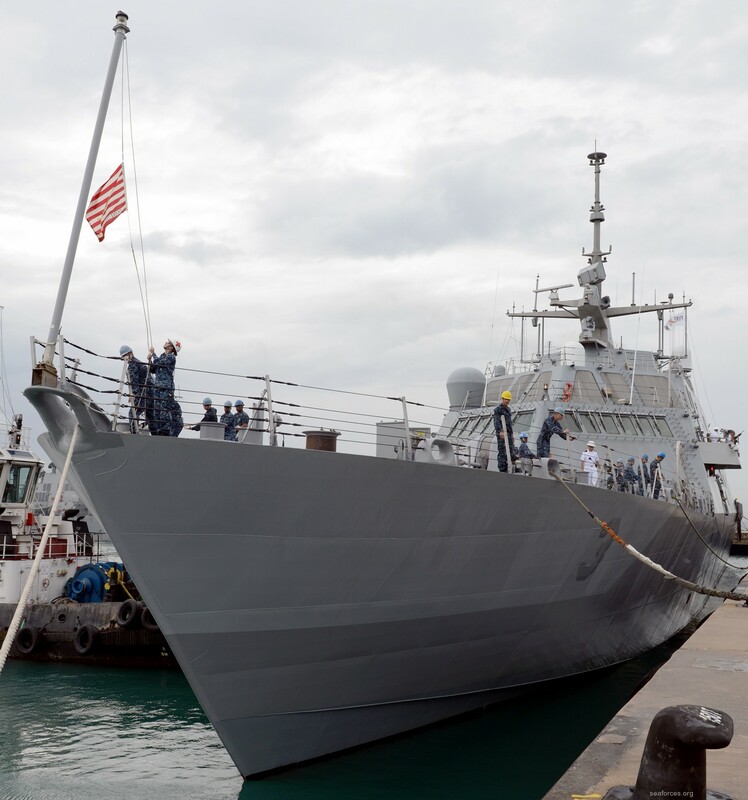 The Navy cited the reason for CDR Atwell's removal was "due to a due to loss of confidence in Atwell's ability to command," stemming from initial findings into the incident that sidelined Fort Worth. 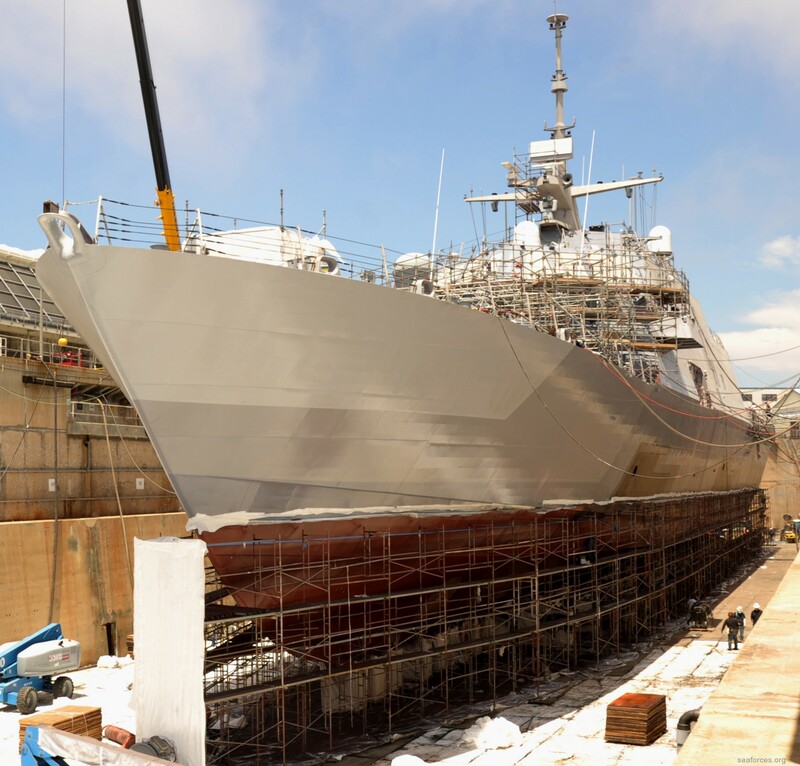 It is estimated that the repairs to Fort Worth would cost between $20 and $30 million according to defense officials, and it was feared that the ship would need to be heavy-lifted back from Singapore to San Diego so it can be repaired during its scheduled overhaul. 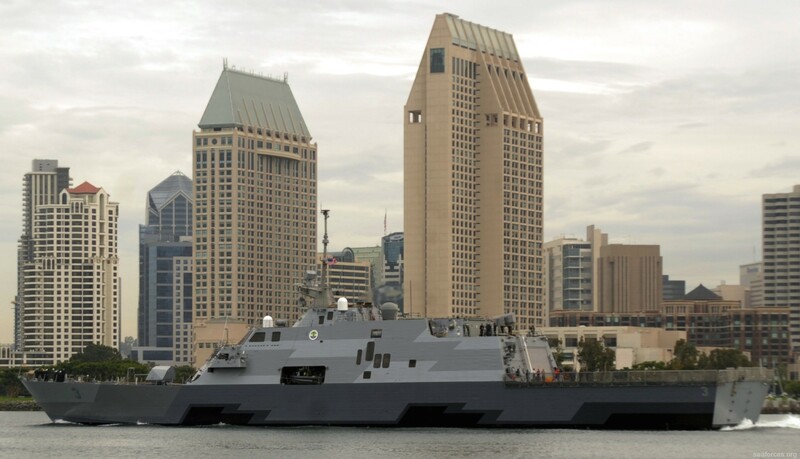 However, the USN announced on 13 April 2016, that Fort Worth would transit back to San Diego on her gas turbines instead, with the journey scheduled for summer 2016. 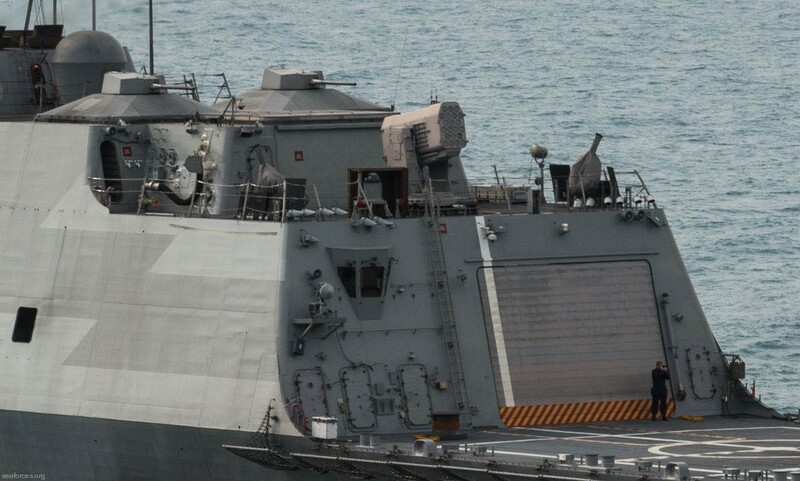 It was expected that Fort Worth would take 6 weeks to travel from Singapore to San Diego with several underway replenishments and planned fueling stops along the way. 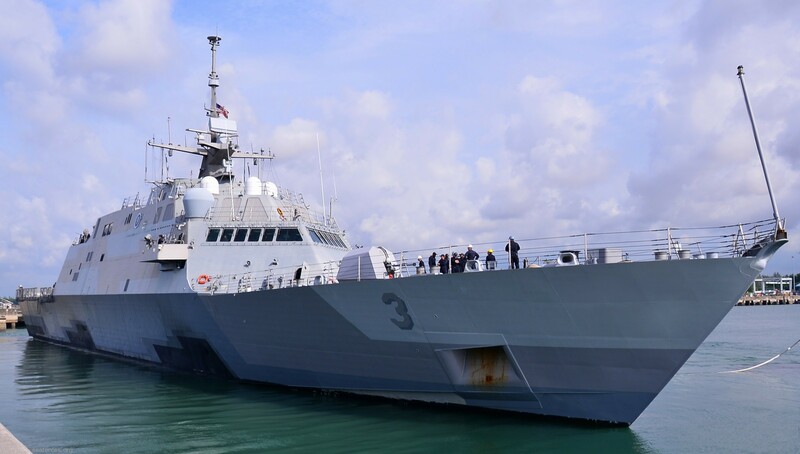 However, a subsequent assessment found that the damage to Fort Worth was less severe than initially believed, and her engines were repaired in Singapore by late July ahead of returning to the United States for further repairs.